Some patients say they're turning to dangerous street drugs in the wake of new national guidelines limiting the allowable dosage of prescription painkillers and new restrictions under the Ontario Drug Benefit plan. In 30 years on powerful pain medication for Crohn's disease and colitis, John never overdosed. Not once. "I have overdosed twice since my pain medication has been discontinued by having to resort to street drugs," he said. John is not his real name. He spoke in Ottawa on the condition of anonymity. The street drug he has resorted to is heroin. His last overdose, just two weeks ago, nearly ended his life. He said paramedics had to administer nine doses of naloxone to revive him. John's descent began after his relationship with his doctor, who was trying to wean him off prescription painkillers, unravelled. He's now among Canadians who say they're turning to potentially deadly street drugs in the wake of new national guidelines limiting the opioid doses physicians can prescribe. For John, the stakes are all too clear. "It's my life." In November 2016, the College of Physicians and Surgeons of Ontario (CPSO) began investigating the prescription practices of doctors flagged through the province's narcotics monitoring system. The doctors who were investigated had several patients on "extremely high doses" of prescription opioids, according to a CPSO spokesperson. Under new national guidelines, doctors are advised to taper the supply of opioids for patients whose prescriptions had crept above a maximum dose. The guidelines helped inform the decision by the Ontario government to stop covering a number of high-dose opioids previously provided under the Ontario Drug Benefit. The program covers some prescription drugs for patients 65 and over, as well as for those receiving support though Ontario Works and the Ontario Disability Support Program. The change, which went into effect Jan. 31, affects 9,127 patients, including John. They make up a small portion of the more than 300,000 Ontarians with opioid prescriptions exceeding the recommended dosage last year. Experts in the field of pain management have been raising the alarm about the lack of alternative therapy to help those patients as their doses are diminished. "We're causing a lot of harm to people who actually had never gone to the street for an opioid," said Dr. Hance Clarke, whose specialized pain clinic at the Toronto General Hospital is the only one in Ontario with a framework for weaning patients off high-dose medication. "We know we need to educate our doctors, and that will come. But we have 300,000 individuals out there, just in Ontario alone ... that we need to get safely from where they are to where they need to be." Neither the CPSO nor the province is monitoring the long-term impact on patients affected by the changes. The director of pain management at the Ottawa Hospital, Dr. Peter MacDougall, supports the new guidelines in principle, but said more data on how patients are adapting would be useful. "So there has been an impact, I understand that," MacDougall said. "We don't really know the scale of the impact yet. We've seen individual cases, but haven't understood the scale." But people who work directly with drug users on the street believe they're starting to see the results of the changes, and say the problem is growing. 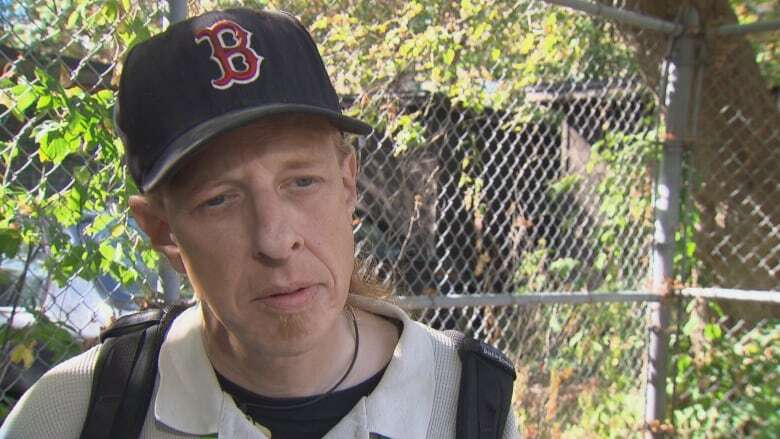 Sean Leblanc, a peer worker with Ottawa Inner City Health, said he has been seeing clients who were once on managed medication, but have now turned to street drugs. They include John. "You know this government body makes all these changes, and his whole life has been thrown up in the air now," Leblanc said. John said he has been taking prescription drugs since age 12 to manage the pain caused by his illnesses. "Over the years my tolerance has grown, and I did get up to a rather high dose," he said. "But my quality of life was great, my pain was being managed quite well." But John's name was on a list of patients whose dosages his doctor was ordered to cut. "It was too fast," he said. "Even my hair hurt. I got very sick." He soon abandoned his doctor and began seeking pain relief on the street. Now his $2-per-day prescription under the Ontario Drug Benefit has turned into an $80 daily heroin habit. He knows the next dose he buys on the street could contain carfentanil, a lethal drug 10,000 times stronger than morphine, and whose presence has been confirmed in Ottawa. It's not the scenario the province was aiming for when it decided to cut the opioids from its drug benefit program. "Tapering or withdrawing opioid treatment may result in improved mood, pain and function, with less sedation, fatigue, constipation, etc.," the Ministry of Health and Long-Term Care advised in a 2016 statement. But the national guidelines that preceded that move took a more cautionary tone: "Some patients are likely to experience significant increase in pain or decrease in function ... so tapering may be paused and potentially abandoned in such patients." Patients who have trouble adapting to lower doses should be referred to a specialized pain clinic, said the MacDougall. "But therein lies the rub, of course," MacDougall said. The wait for such treatment for non-cancer patients can be months. A call to an Ottawa clinic confirmed it would take six months to one year to get a consultation. John said his own doctor referred him to a pain clinic 12 months ago. He's still waiting for his appointment. In the meantime he's finding relief the only place he can — on the streets. A previous version of this story said the College of Physicians and Surgeons began investigating some doctors to ensure their prescription practices met with new national guidelines. In fact, the college investigated doctors flagged through Ontario's narcotics monitoring system.